Fire corals are the only branching corals in the South Atlantic and provide an important ecological role as habitat-builders in the region. 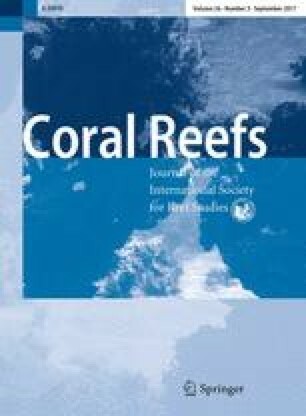 With three endemic species (Millepora brazilensis, M. nitida and M. laboreli) and one amphi-Atlantic species (M. alcicornis), fire coral diversity in the Brazilian Province rivals that of the Caribbean Province. Phylogenetic relationships and patterns of population genetic structure and diversity were investigated in all four fire coral species occurring in the Brazilian Province to understand patterns of speciation and biogeography in the genus. A total of 273 colonies from the four species were collected from 17 locations spanning their geographic ranges. Sequences from the 16S ribosomal DNA (rDNA) were used to evaluate phylogenetic relationships. Patterns in genetic diversity and connectivity were inferred by measures of molecular diversity, analyses of molecular variance, pairwise differentiation, and by spatial analyses of molecular variance. Morphometrics of the endemic species M. braziliensis and M. nitida were evaluated by discriminant function analysis; macro-morphological characters were not sufficient to distinguish the two species. Genetic analyses showed that, although they are closely related, each species forms a well-supported clade. Furthermore, the endemic species characterized a distinct biogeographic barrier: M. braziliensis is restricted to the north of the São Francisco River, whereas M. nitida occurs only to the south. Millepora laboreli is restricted to a single location and has low genetic diversity. In contrast, the amphi-Atlantic species M. alcicornis shows high genetic connectivity within the Brazilian Province, and within the Caribbean Province (including Bermuda), despite low levels of gene flow between these populations and across the tropical Atlantic. These patterns reflect the importance of the Amazon–Orinoco Plume and the Mid-Atlantic Barrier as biogeographic barriers, and suggest that, while M. alcicornis is capable of long-distance dispersal, the three endemics have restricted ranges and more limited dispersal capabilities. The online version of this article (doi: 10.1007/s00338-017-1562-0) contains supplementary material, which is available to authorized users. We thank SISBIOTA-Mar Network (CNPq 563276/2010-0, FAPESC 6308/2011-8) and São Paulo Research Foundation (FAPESP 2006/02960-8, 2006/05821-9, 2006/60327-0) for funding. 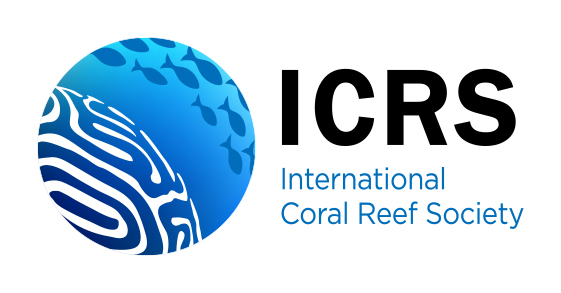 For assistance in the field and/or for providing samples, we thank Projeto Coral Vivo, John Starmer, Carlos Eduardo L. Ferreira, Peter Wirtz, Alberto Brito, Ana Flora S. de Oliveira, Kátia C. C. Capel, Fábio Negrão, Kyllderes Lima, Ralf Cordeiro, Fernanda D. Amaral, Leandro M. Vieira, Monica Dorigo Correia, Hilda Helena Sovierzoski, Douglas Burgos, Anaide W. Aued, Guilherme O. Longo, João L. R. Gasparini, Mariana Teschima, Barbara S. Ramos and Sergio R. Floeter. We are also grateful to Laura Branco, Edmundo Grisard and Luisa F. Dueñas for laboratory assistance, Andreia Carina Turchetto Zolet and Malva I. M. Hernandez for help in analysis, Antonio M. Solé-Cava for the use of the ABI 3500 sequencer, and Emiliano N. Calderon and Luiz Rocha for providing images. Work by FLDN was supported by the “Laboratoire d’Excellence” LabexMER (ANR-10-LABX-19) and co-funded by a grant from the French government under the program “Investissements d’Avenir,” and by a grant from the Regional Council of Brittany. JAS acknowledges the Minister of Environment, Household and Territorial Development (PNN) for collecting permits DTCA-LCR002(2004) and DTC-CR-T36(03-09), and contract No. 007 (634, 2007). Sampling in Florida was done under permit SAL-12-1182B-SRP.